Spring FINALLY seems to be making its way into our little country. Outside, it's still supercold but from behind my window I'm catching a whole lot of sunshine and warmth. We ran all out of patience while waiting for the flowers to bloom so we decided to help nature a little bit by bringing a few branches of our forsythia into the house. They set bloom in no time and have been brightening our living room for over a week. 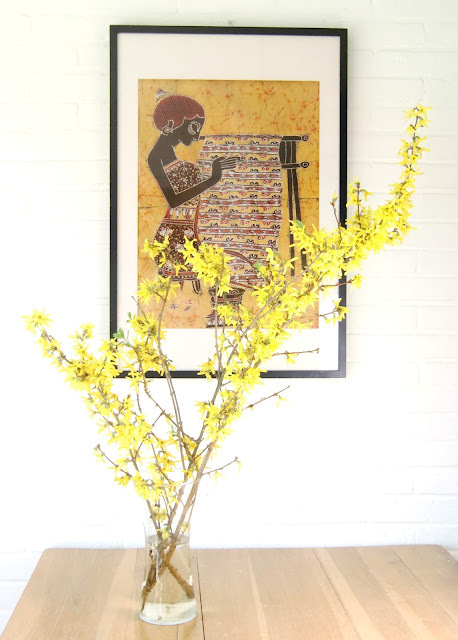 Nothing says spring like bright yellow flowers. I think this may have to become a new tradition!